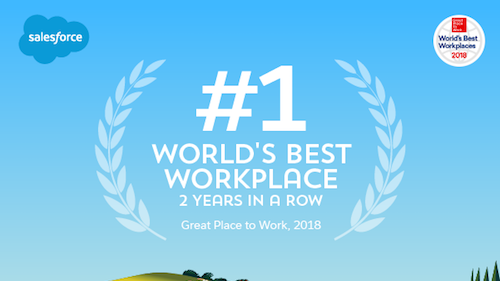 Today, Great Place to Work named Salesforce the #1 World's Best Workplace for the second year in a row. 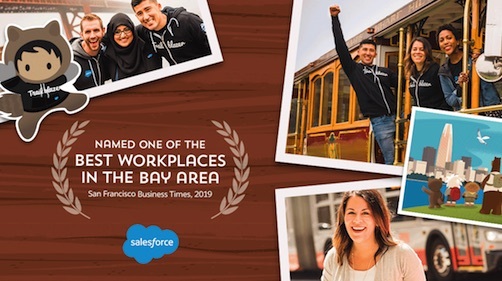 This recognition is thanks to all of our incredible employees whose daily actions create the culture that makes this company such a great place to work for all. 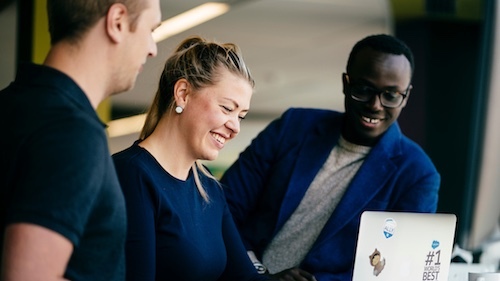 A great culture is at the heart of a best-in-class employee experience that earns a company this level of recognition, and it's something that is increasingly difficult to sustain in today's social, mobile, smart, and connected world. The inevitable question when you are at the top of your game in any area of business is “what will it take to stay there?” Well, we believe the way to stay ahead when it comes to culture is the same as it is for our products: we have to keep innovating; we need to relentlessly pursue cultural innovation. Culture is our greatest competitive advantage — it engages our people, drives the creation of our innovative products and ultimately helps our customers succeed. So we write it down, we prioritize it, we build programs around it, we measure it, and we are constantly innovating on it. Our culture is built and upheld by our Ohana (meaning “family” in Hawaiian), which includes our employees, customers, partners, and communities — all of our stakeholders. It’s centered around our four core values of trust, customer success, innovation, and equality, which we live by every day, both inside and outside the company. We've had some unique practices in place since day one that have been central to our success in attracting, engaging, and retaining the talent that is fueling our incredible story of growth and social impact. First and foremost, we prioritize transparency. Transparency is the foundation of trust, and trust is the foundation of a great workplace culture. We are transparent about our business priorities via our annual V2MOM process, which is our business plan for the year. Employees need to know where we are going, how we plan to get there, and what their share of the task is to feel that their work is meaningful. A great culture starts with strong core values and meaningful work, but the workforce of the future is also looking for companies that stand for something — companies that have a purpose beyond profit. Feeling a sense of purpose and belonging is what drives the passion, pride, productivity, and loyalty of our people. We are fortunate that a focus on giving back has been part of our culture since the company was founded. Through our 1-1-1- model we donate 1% of our time, 1% of our equity, and 1% of our product back to the community. A few years ago, Equality was elevated to a core value at our company. We are deeply committed to creating a diverse workplace that reflects the communities we serve, and an inclusive culture where everyone feels seen, heard, and valued, and fights for the equality of every human being. Over the last year, we’ve doubled down on wellbeing because we recognized that we can only be at our best for our customers if we give ourselves permission to take care of ourselves first. So what's next? Recently, we've been focused on psychological safety, a key driver of innovation. Creating an atmosphere where people feel safe to speak up and take risks, and where there is a high level of trust and mutual respect is core to creating the high performing teams that will take us into the future, so it's an area of cultural innovation that I'm deeply committed to. Ultimately, this comes down to authentic, vulnerable, and courageous leadership. Asking the tough questions and having courageous conversations is the best way to keep our culture healthy and strong. We are proud of what we've built, and we're happy to share our secrets to help every company on their journey to a becoming a Great Place to Work for All. 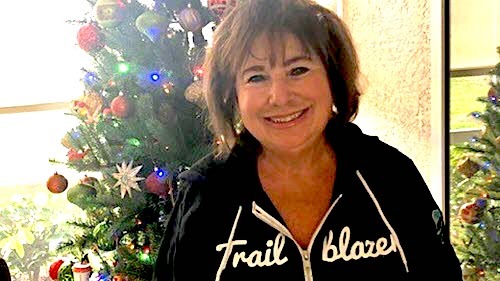 To learn more about our culture and our approach to building it, check out the Salesforce Ohana Culture Trail on Trailhead.